Dr. Bill Bailey, WOFR.org – Word of Faith Radio’s Technical Director, produces several technical video netcasts on the Internet. One is called “Hand Held Hack,” a show in which he shares information on various Hand Held devices. 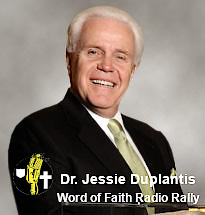 In this episode, he does a demonstration of Monoprice.com‘s great FM Transmitter, that YOU can use to listen to WOFR.org – Word of Faith Radio in your car! If you want to skip the beginning of the show, you may go to the 4:40 mark in the netcast player’s timeline, and watch JUST the demo of the device! Hand Held Hack #21’s Show Notes: Google QuickOffice is now free! The Livescribe SmartPen will turn your handwritten notes, charts and diagrams digital! An un-boxing and demo of the new Monoprice FM Transmitter so you can listen to hand held device output in your car, via your car radio! If you would like to order this FM Transmitter for LESS than $15.00… you may click HERE to go to Monoprice.com’s web site. We are NOT affiliated with Monoprice, but we can recommend this device as it has been tested and works VERY well to listen to WOFR.org – Word of Faith Radio!